We all know that the world is always an injustice. Only a fraction of people control the majority of the world’s capital, their government neglects ten wealthiest people on the planet equivalent to half of the entire population of the earth in the term of economy, and weak, and so forth. Those issues are the result of the economic injustice that has been ravaged the world economy for many years, and thus we need to act fast to restore the prosperity to the people. But the world leaders out there are having so much disagreement concerning how to treat the people, and thus the solution is still so far away. There is no a tangible solution yet to counter this injustice, as the countries are moving on their own, uncoordinated to the global plan, whereas the issue of poverty is the issue of humanity, not just the specific country alone. Most of the poor people are located in some region of Asia, Africa, and some of Eastern Europe, and that almost comprises for about 70 % of the world’s global population. We have to admit it now, that the situation is not getting good, and we need to get out of this murky water as soon as we can. The most hampering issue for the developing countries is access to the information and capital revenue. The capital is the amount of money that can be converted into several forms of business that can boost the prosperity of the people. Unfortunately, the capital now is being centered in Europe such as Germany, Benelux region, and the USA. As for the rest of the world, they need to search it elsewhere, whether to gain it via international aid, of debt. But the more we delve into the issue, the darker it gets since the problem is not just revolved in the lack of money that the country has, but the management of such funds, and the distribution of the wealth that has become the primary problem, and that is not a simple problem. He some degree of openness to ensure the integrity of the government, and to reduce the risk of corruption. Corruption spread due to the lack of surveillance from the system and the people, and therefore the people need to be involved in an attempt to observe the government’s work so that the government official will have little to no chance to corrupt the money. The governments, along with the nonprofit organization need to enhance and promote the transparency so that the governmental affairs can be seen publicly and the people can judge whether the conduct has been rightly or not. Infrastructure is also very important for the growth of the country since the country’s goods and all sorts of things that is vital for the development of the economy heavily dependent on the availability of the infrastructure such as bridges, roads, even internet connection. The later becomes increasingly important since the world of business nowadays is usually connected to the internet, and therefore having the internet connection for the growth of the companies is mandatory today. But unfortunately the developing countries are merely lacking in all of those sectors, where the internet is not entirely covers the whole nations, and the roads are not interconnected and thus further hamper the progress of development. This article does not mean to promote any particular bank, but rather the banking system as a whole. We do understand that not all kind of banks are right, which some of them are just concerns for the profit generation effort, but the anti-bank attitude that is plaguing the developing countries are not right either. This will lead to the difficulty In doing something which is mainly the transaction, as the people need to do it with physical cash, which is inefficient today. Banks will also protect your money better than your storage which can be destroyed in some manner such as the fire, earthquakes and so forth. The people need to trust the bank more, and the bank needs to respect the trust accordingly. The technology without a doubt is the catalyst for the progress. Nothing can move forward without a proper tech, and therefore the people need to gain their tech to get the business going. But unfortunately that is not a case since the third world countries are lagging behind in the term of technological adoption, and that is a severe blow to the businessman. The proper tech will allow the people to do more and to innovate more so that they can improve their condition and also their own business. With an appropriate tech, the transparency of the government can be attained too, and thus make the government affairs more effectively. The more active the government affairs, the better it is to make the people prosper and combat poverty. Those issues need to be addressed properly, be it with the government agencies, or the third parties such as the private sectors. The work also needs to be coordinated towards the same goals, which are removing any economic barrier between the countries and thus eradicating poverty together. We then need something as a catalyst to ignite the spark which will be followed by the rest of the world. For further information, you can refer to these web pages below. First of all, we don’t claim that traxion acts just like the panacea for the entire world’s illness. But this platform does provide the solution to several critical points that relate to the poverty issues that are now plaguing the majority of the people across the world. As you have guessed, traxion is a platform that employs the blockchain system. 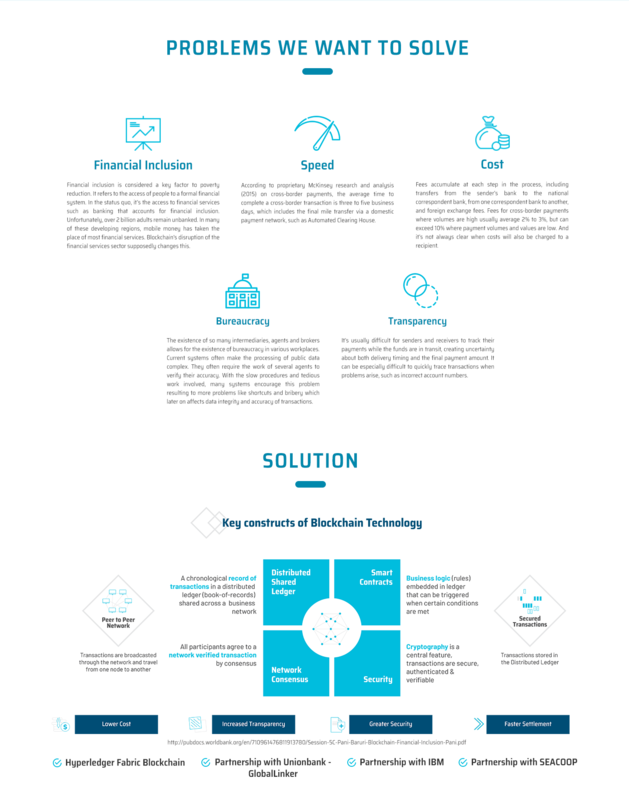 Blockchain itself is a series of connection between the users and the platform that is decentralized and user-friendly since it is oriented for the users. The blockchain system could be stated as the pinnacle of the technological advancement that the world has experienced in the last decades. The number of platforms that have employed the blockchain system is steadily increasing day by day. But why blockchain platform? Of all the other thing that the government cannot provide to its citizen is the gamification of the system. Utilizing the traction will benefit the ecosystem and the user itself since it is work double-edged. This is why so many people will always revert to the blockchain system since they are the most rewarding and consistently giving them benefit and that is why people love this ecosystem. Several significant advantages can be obtained by utilizing the platform, such as. The transaction, as we have already stated above, is the vein of every business. All kind of activity will rely on the speed of the operation to make the business grow stronger and faster. The market that has the high rate of a transaction is often referred to as the right companies, and therefore more small companies are employing the mechanism to speed up the operation so that they can attract more customer. The operation using the traxion platform is just a matter of hand swipe, and that is very convenient. Aside from the speed of the trade, the user will also be rewarded post-transaction in the form of cashback that surely will benefit the user. This will encourage the user to shop more using traxion, and your business can be highlighted more. The small business is the frontier of economic recovery. The birth and emergence of the small business mean that the people are full of optimism towards the national economy and thus creating more fields for jobs and another business counterpart. A small takoyaki stall, for example, is very beneficial for the local economy since it will encourage the oil merchants, squid supplier, flour distributor and so forth. The local economy will be significantly boosted as the growth of the small business start to goes up. This platform, through the speed of the transaction, will surely encourage the small business as it is more rewarding for them. Not only will the small business owner that is going to be benefitted by the emergence of this platform but the government also gain their benefit. The government can help to increase the rate of transparency in their governance, and ensuring that all kind of funds that is obtained by the government can be distributed evenly no matter what. This will eradicate the chance of corruption and thus provide the prosperity of the people. As the government becomes healthier, the success of the people will inevitably rise up and therefore make the situation a lot better. This is can only be achieved when many other things have been completed. The country needs to provide some degree of transparency to the people so that they will have a low rate of corruption. All kind of funds that is aimed to alleviate the economic situation must be handed to the people in need, and the small business has started to grow up. Up to this point, the society will have changed significantly, and the prosperity of the people will begin to rise tremendously. This is long-term goals that need to be started as soon as possible. Traxion itself will also work with the government and any related parties to combat injustices and poverties and thus creating a better environment for the whole society in the future. this is indeed a grand task and will only be accomplished once many societies and communities has been integrated within the system. For further information concerning the purpose of the platform, you may refer to the web pages below. 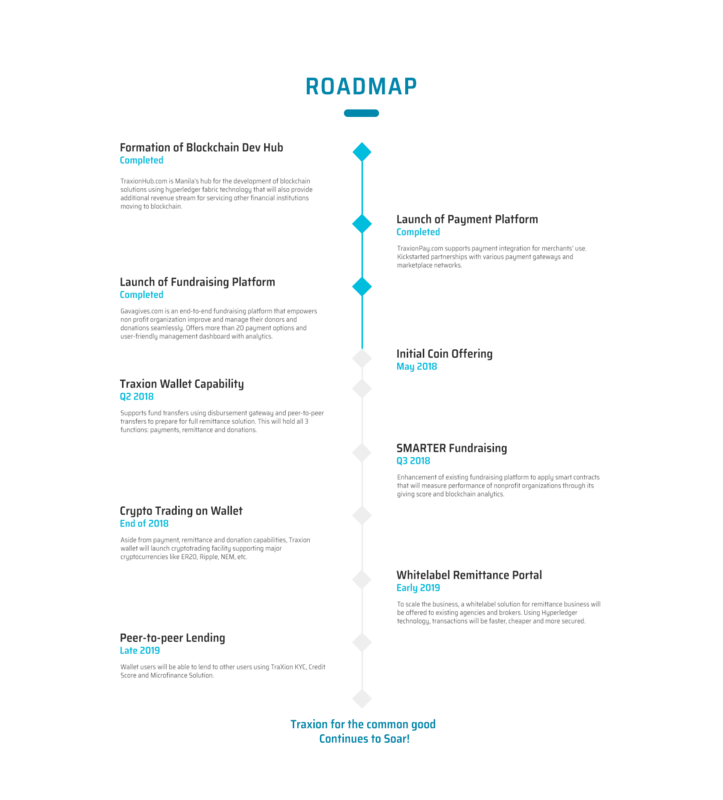 Since this platform is a blockchain platform, therefore the platform does have the token or the cryptocurrency known as the traction token or TXN. The symbol now undergoes the ICO or the initial coin offering that is divided into three parts, which are the private sale, the, and the crowd sale. 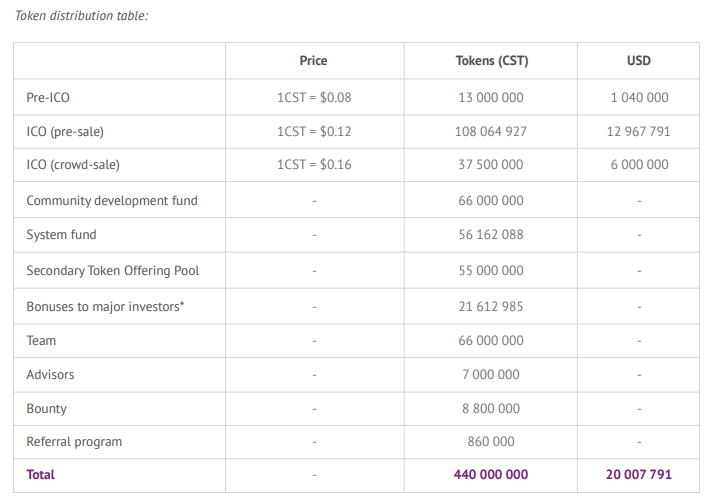 The private sale has been concluded with the cap around 10 million token and yields about 50% bonus. 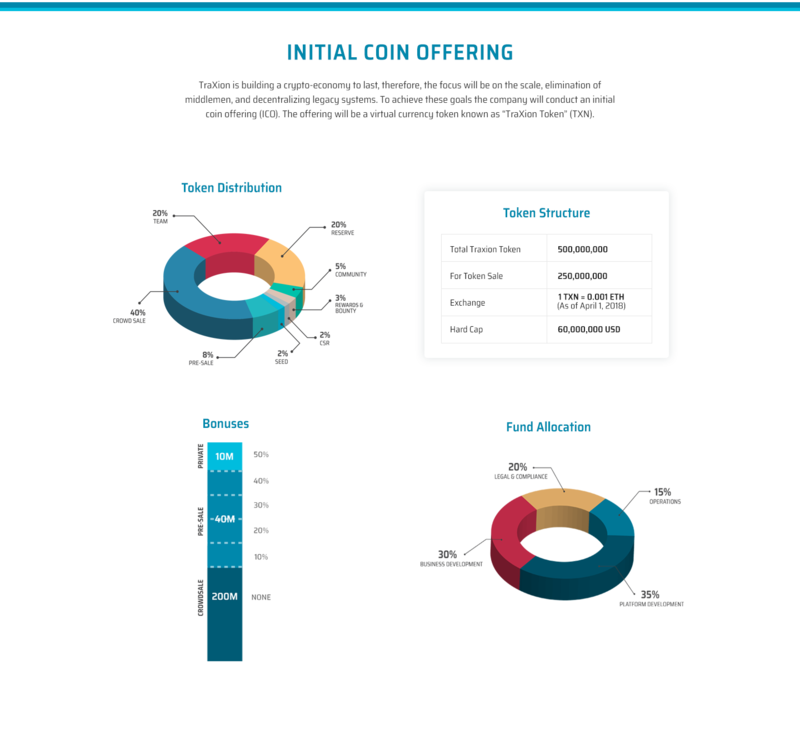 This is the most significant bonus yielded throughout the token sale in the traxion, and therefore for those who want to have the more substantial token by spending less money, the private sale is a way to go. But unfortunately, the private sale has been concluded as the platform is moving to the second phase of sales. The second phase of sales is now occurring, which is called by the pre-ICO. The pre-ICO or the pre-sale is the sale that yields the bonus ranging from the 50% to 10% which decline per week by 10%. If you want to gain a more significant benefit, therefore you can join the private sale in the first week. 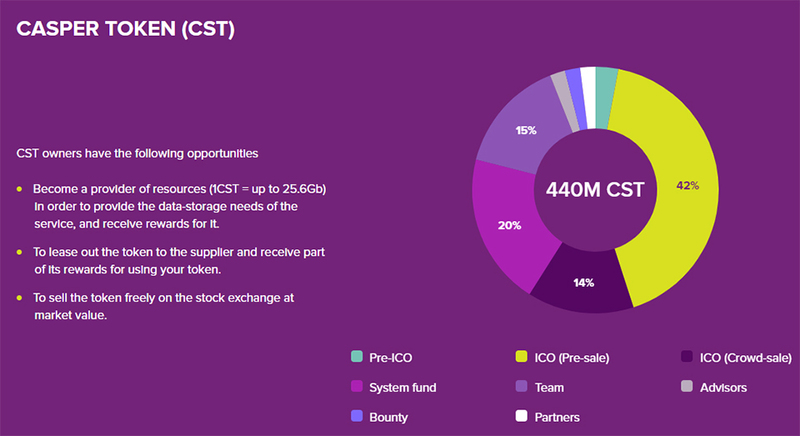 But the pre-ICO is already ongoing and now entering the last week, where the transaction is almost reaching the cap, which is around 40 million TXN. The last stage of sale is the crowd sale, where a massive amount of token will be available for sale, which is around 200 million token. Unfortunately, the date of the sale is not yet released, but we do know that the crowd sale will automatically start after the pre-ICO ends, which is somewhere around August. The total token that is available for the sale is around 250 million token, and the unsold token will be reserved for future sale. If one person wants to join the sale, they need to spend at least 0,50 ETH or about 500 TXN, and the maximum token that can be purchased is around 1 million TXN. 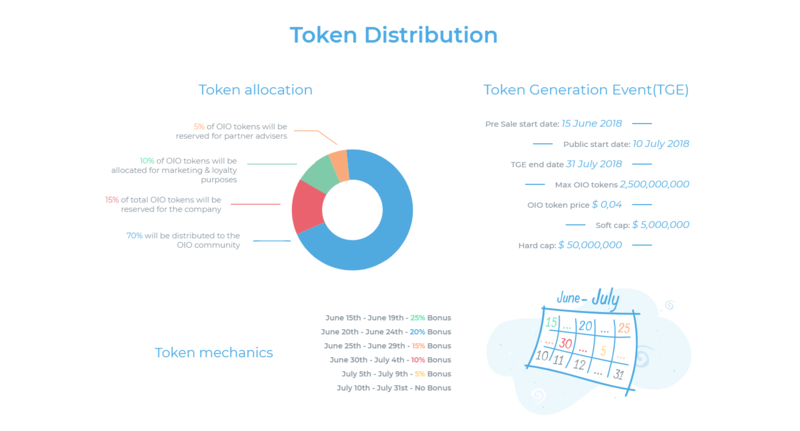 The primary purpose of the token is to conduct the transaction within the platform and therefore enabling you to gain bonuses. The token can also be invested for a year, and then you can exchange it for the fiat currencies and gain the vestment bonuses. 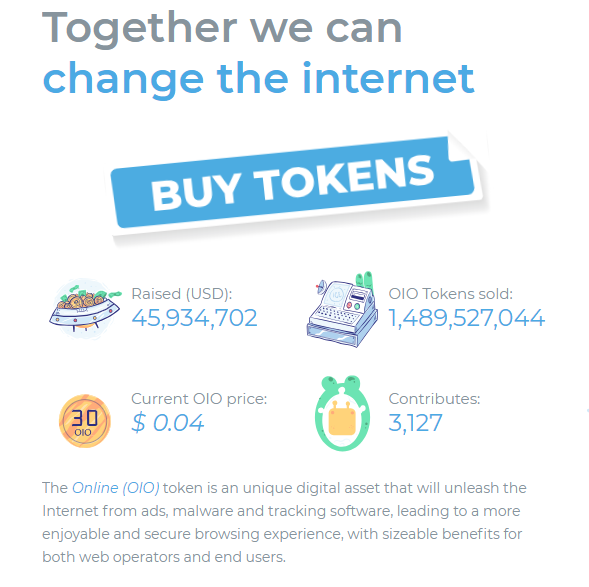 For further information concerning the token sale, you can access the web pages below.